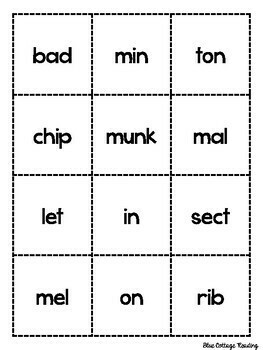 This phonics matching activity features 2 and 3 syllable words. 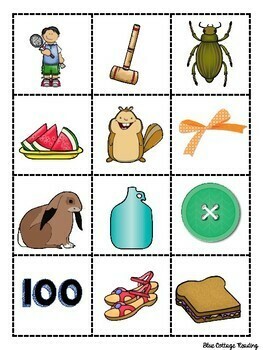 It makes a fun center or addition to tutoring, small group work or homeschool. It works well with Orton-Gillingham type programs. 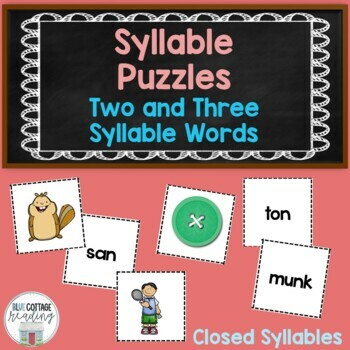 This set includes words only closed syllables. 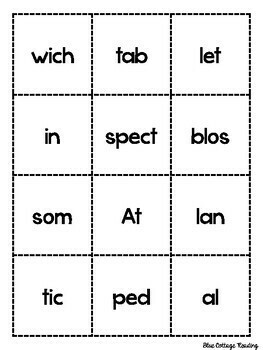 Students are asked to match syllables to form words and then find the matching picture card. They can record the words on the sheet included. I've included a direction card and a label for the storage bin or bag.